We are excited that you are learning about MazePlay! We would like to introduce our team and give you some information to start you off on how to build a corn maze. Team MazePlay consists of capable professionals adept at creating success for your agri-entertainment venue. 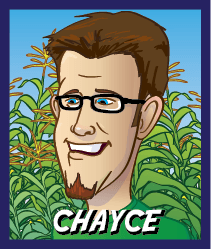 Chayce has been our maze designer and illustrator for over 12 years. He is a published illustrator (see his 32-page children’s book) and a very talented cartoonist. From website design to maze-cutting logistics to detailing and creating our game systems, it is pretty hard to find a part of MazePlay’s successful operations that doesn’t have Chayce’s creative and technical skill stamped on it. He would love to create your maze design for you - but he would love even more to talk you into coming out to go snowboarding, ice fishing, or skiing in the off-season. Our customers appreciate Chayce’s knowledgeable and wise feedback almost as much as they do his personable and helpful style. We just love that we get to work with him. Heather Stolworthy is delightful, yet humble to a fault. She promotes herself as “chief go-fer and lemonade-maker.” She drives the trucks, helps with sales on the road, and fields the concerns of our customers whom she considers friends and family. She wrote the book “Who Kidnapped Farmer Joe” that has been so popular. And as our chief editor, she has spotted several typos in this introduction. 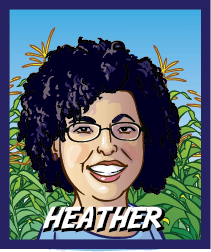 At the heart of our company, Heather reminds us that our customers are our friends! “We have to do a good job for the customers.” She is often on location - usually with their five kids in tow. For those of you that have met and enjoyed her visits, you know what a good friend she can be. 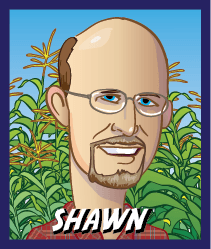 As a team, we pride ourselves on teaching how to build a corn maze, using award-winning maze designs. We believe a good design grabs attention and creates a “WOW!" Its the “wow effect” that differentiates your maze and often captures big media attention - and that brings customers! A good design is also more fun and creates better customer satisfaction. Word of mouth should be the largest marketing method for your maze. Many of our mazes will generate over 50% of their customers though word of mouth. The better the design the larger the potential for profit. MazePlay has been recognized year after year for our quality work in maze design and cutting. Our work is very accurate so what you see on paper is what your maze actually looks like in the field. We believe that our custom mazes speak for themselves - and we want them speaking for you. We create maze game systems that are fun and engaging and marketing materials that are effective. We love our work and strive to create the best value for our customers. Thanks again for letting us explain a little bit about who we are and what we can do for you. After you have had a chance to look over our website, please give us a call to discuss what questions you might have regarding how to build a corn maze. We look forward to an opportunity to work with you. Hear what our customers have to say about their experience working with MazePlay!